← Dr. David Jeremiah: What Is Sanctification? This book is almost a word for word account of R.C. Sproul’s DVD teaching series entitled “Foundations: An Overview of Systematic Theology.” Having watched this video series in the past I immediately recognized the content. I’m glad this series has now been made available in book form. R.C. is a master teacher and in this book he covers the subject of Theology in its broadest sense. Theology not only refers to the study of God, but to everything that God has revealed to us in the Bible. In sixty short, but jam-packed chapters R.C. unveils with depth and clarity a summary of what the Bible has to say about its most important themes: Theology Proper – The study of God; Anthropology and Creation – The study of man; Christology – The study of Jesus; Pneumatology – The study of the Holy Spirit; Soteriology- The study of salvation; Ecclesiology – The study of the Church; and lastly (no pun intended) – Eschatology – The study of last things. This book is an excellent introduction to all of these subjects and the sub topics they address. As R.C. 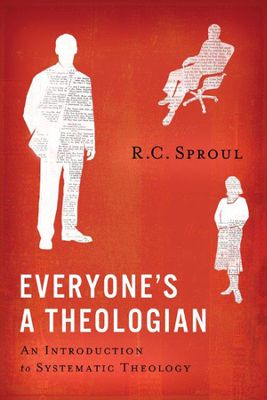 Sproul says, “Everyone, is a theologian, but either a good or bad one.” You will come away from reading this book having learned a ton of important truths that will help you become a better theologian. With profound depth, clarity, historical, and practical wisdom Sproul will delight and intrigue you in helping you grow in your journey and intimacy with God – using your head, heart, and hands for His glory and your good.